The Hojo were a large and powerful clan in ancient Japan, the rulers behind the rulers of the famous and original Kamakura Shoguns. Before the shogun came to be, ancient Japan was locked in a struggle between the Minamoto and Taira Clans, each of which vied for power. The Taira won. They drove out the Minamoto, executing some, forcing others into monasteries, and exiling more. They had achieved total control and power under the emperor. The Hojo were more or less the same as any other clan of the times, the rulers of a small province, but that came to change when the exiled Minamoto Yoritomo married Masako, the daughter of Hojo Tokimasa. Strangely, the Hojo themselves descended from the Kammu Heishi line of the Taira, though three hundred years had passed since the branching. The clan had prospered, but no more so than any other clan claiming descent from ancient emperors. Her marriage to Yoritomo would bring her and her father to absolute power within a few years. This significant marriage raised the Hojo clan to new heights as a valued ally of a soon-to-be powerful warlord. Minamoto Yoritomo rebelled against the ruling Taira and called the clans to arms against them. 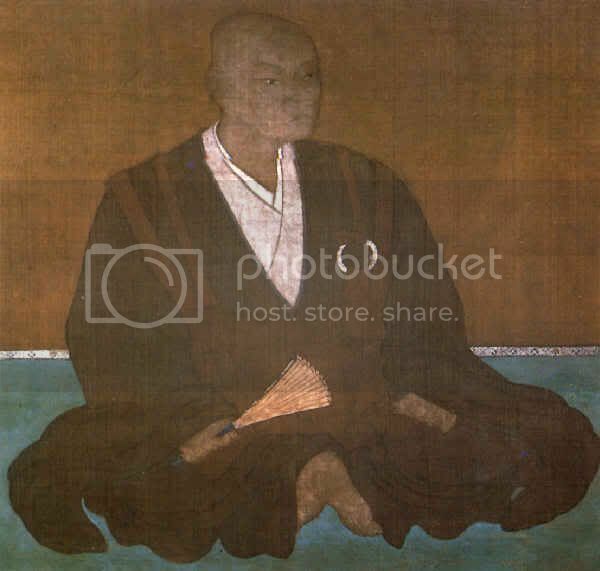 His wife’s family supplied warriors and monetary assistance, which enabled Minamoto defeated the Taira and in 1192 to become the first ever Shogun, establishing the Kamakura Shogunate. The Minamoto became the most powerful clan in Japan- so powerful, that many of the leading clans of the Sengoku Period four hundred years later would claim descent from them. The Taira were extinguished as a clan, though remnants of them would found other clans- notably the Oda. Minamoto Yoritomo ruled as shogun until his death in 1199. Tokimasa was a very able politician and a shrewd clan leader. He trained his daughter well in the arts of politics and intrigue, and together the two grew very powerful. Foremost among their achievements was marrying her into the far more noble Minamoto Clan, which they thereafter helped install into power. Thereafter, their abilities helped keep the Hojo in power for the next hundred-odd years. Minamoto Yoriie was a headstrong and brash young man who inherited his father’s power. He married young, taking as his wife a woman of the Hiki clan. Her father then became his favorite advisor, one which turned him against his mother and maternal grandfather. He lasted less than a year before Hojo Tokimasa tricked him into killing a most devout supporter, which thereafter deprived Yoriie of the trust of any of his supporters. The fool was ousted, and his mother’s clan paid the price for its interference. Yoriie’s younger brother Sanemoto was installed as the third shogun and Tokimasa was his shikken- regent- which he and his family monopolized to become the true rulers of Japan until 1333. Tokimasa himself was ousted after political intrigue. He had used intrigue and schemes to destroy his opponents with ruthless efficiency, often given warning by his daughter of a coming coup and acting to prevent it. Masako and Tokimasa were a lethal combination, but one which was not destined to last. Tokimasa held a grudge against a certain Hatekayama, and schemed to have the man killed. He was successful, but the death of his victim antagonized others to begin plotting. In the end, Masako tired of her father’s intrigues and supported a new leader for the clan. This forced her father into exile in Izu Province. Thereafter she ruled, through her remaining sons who one by one became the Shikken, until her death at the age of 69. The only threat coming even close to removing her from power was the abortive revolt of the Cloistered Emperor Go-Taba, who was quickly and brutally crushed in the Jokyu War of 1221. The Hojo enjoyed their prime position of power until 1333, when one of their vassals, Ashikaga Takauji, switched sides in a bitter little war and joined the resurgent Emperor Go-Daigo. His betrayal left Kamakura open to attack, which came in the form of Nitta Yoshisada. The surviving Hojo clan, all of about 870 people, took refuge in the family temple at Tosho-ji, where they committed suicide and burned the temple down around the bodies, extinguishing the light of this ancient and once-almighty clan. Ashikaga then went on to form a shogunate of his own. The Onin War drove many people from the imperial capital of Kyoto, among them a young man of the Ise clan who would bear many names including Shinkuro. This man was educated by monks, and became a valued retainer to the Ise clan. It was he, as a beloved yet objective outsider, who would be asked not once but twice to settle the succession disputes between leaders of the Ise Clan who vied for the title as head of the clan. He voiced his opinion once, ending the dispute for a short time, then used his sword on the opponent on the second occasion to settle the matter permanently. This earned him the honor of using the character ‘uji’ in his name, and thus he donned the name Naga-uji. Ise Naga-uji was a fantastic opportunist. He saw a neighboring province turn to a morass of civil war and anarchy, and noticed the Ashikaga shogun embroiled in a succession war of his own and thus oblivious to all else. He seized the moment and invaded the province. His land-grab was noticed, but he handed the army of the unpopular shogun Chachamaru a decisive defeat, and thereafter absorbed many of the disillusioned Ashikaga samurai into his ranks. The Ise acknowledged the swift conquest by their retainer by granting him independence from the daimyo- effectively making him a daimyo himself. He followed this up with the conquest of Sagami Province, where he took castles through murder, intrigue, and storm as if they were toys. One of them, Odawara, he and his descendants fortified and upgraded until it was one of the most formidable castles in all of Japan. His conquests ended when he took the ancient capital of Kamakura. He consolidated his military prizes with excellent administration and his Twenty One Articles, ensuring his sons would rule a strong and healthy realm in those troubled times. When he died in 1519, he was a daimyo ruling all of Izu, most of Sagami, and parts of Musashi Provinces. Naga-uji’s firstborn son Ujitsuna continued his father’s campaigns of military expansion, though was by no means as swift or as ruthless as his father had been. He progressed slowly but surely, but remembered his father’s ways of ensuring loyalty in the conquered areas- through sound and beneficial administration. He also contributed to the arts, built shrines and temples, and cut taxes to something more affordable. Ujitsuna did one other remarkable thing. He grew up in Izu Province, where the original Hojo had lived, ruled, and died. Many of their retainers had adopted the name of the clan, that the name may live on though those with Hojo blood were now no more. Ujitsuna too adopted this name, to breathe new life into a dead but once-powerful clan. He applied the name posthumously to his father, who in addition to all the other names he bore, was now known as Hojo Soun. Despite the impressive achievements of the new Hojo to date, historians and scholars generally consider Hojo Ujiyasu to be the greatest daimyo of the reborn Hojo. This grandson of Hojo Soun and son of Hojjo Ujitsuna learned the family trade from his father. He took over as clan leader upon the latter’s death at the ripe age of twenty six, in 1541. He was almost immediately thrust into battle against the Uesugi clan- two branches of them, to be exact- yet managed to halt their drive into his portion of Kanto Province and actually drive them further out of their own province. His most notable battle was at Kawagoe, where he executed a ‘brilliant’ night attack to relieve the embattled Kawagoe and drive the Uesugi screaming from the field. Within a short period the Ogigayatsu branch would be extinct and the Yamanouchi branch hounded back to Kozuke Province. Thereafter he never quite abandoned the familial disposition for expansion, but rather tempered it down from all-out invasion to raids and sorties. 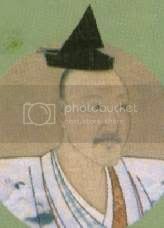 Of course, he had little choice in the matter- his realm now bordered that of the Takeda and the Uesugi, both of whom were led by outstanding and ambitious daimyos of their own- Uesugi Kenshin and Takeda Shingen, two of the ablest generals of the period. It is quite an achievement that Hojo Ujiyasu managed not only to hold his ground in the face of such illustrious competition, but also managed to gain some while doing so. He died in 1571. Nineteen years later the Hojo were again extinct. They had the misfortune to stand against Toyotomi Hideyoshi. Their troubles began as a minor dispute between Hojo Ujinao and Tokugawa Ieyasu over who would rule over some minor provinces. The two made up, and Ujinao married Toku Hime, the daughter of Ieyasu, to seal the pact. In the meanwhile, Toyotomi Hideyoshi had been crushing every other clan in sight by sword, diplomacy, or alliance. None remained unsworn to him- except the Hojo, but their time had come. Tokugawa advised his son-in-law to submit, but Ujinao came from a proud line. He refused, was besieged, and ultimately surrendered. But by then it was too late for mercy. Toyotomi ordered the deaths of the remaining Hojo clansmen- but spared Ujinao as he was married to the daughter of his most trusted ally Ieyasu. Ujinao and his wife were exiled, where he died childless a year later of disease. Pretty good, I think I took most of it in. I am still a bit confused, but will read it over again to understand better. So the Hojo were actually 2 different clans in 2 different time periods? The Reborn ones, the ones in Shogun 2, have nothing to do with the original ones, except the land? You used wikipedia? I am very disapointed. Seriously, good article. Wikipedia (3 sources) had very good summaries with tidbits of info not found on the others. The rest, even though they start off with wiki, are not wikipedia. They are Samurai Archives, a great (if verbose) site for finding lots of information. 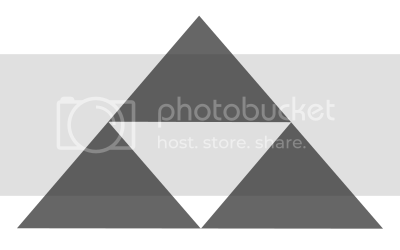 Wikipedia has the better links, though. You can branch out for days from a single page, whereas with samurai Archives you must pretty much know what you are looking for. Since no other comments are forthcoming, I proclaim this article ready for the invocation of the Two-Day Rule.